Over the past two years our gloves have been extremely popular with students and non-students alike and we have even provided many of the parents with gloves for their own use. We have now improved the wrist strap velcro to give an even better and more secure feel. 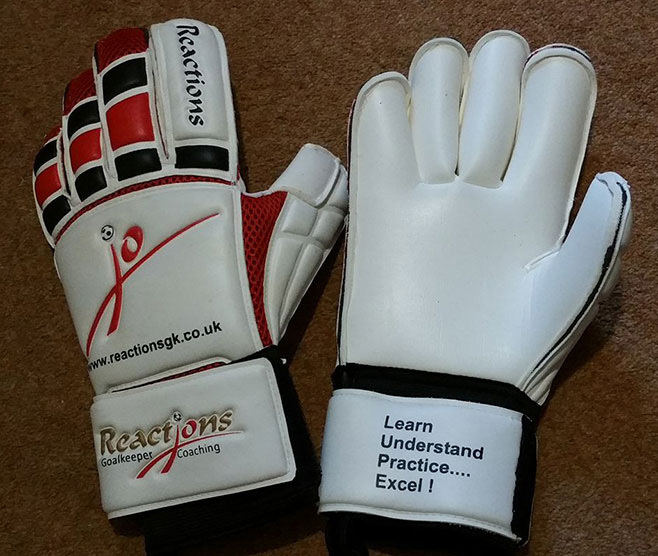 Reactions Goalkeeper gloves are still top brand name quality at 'Sports-R-Us' prices. 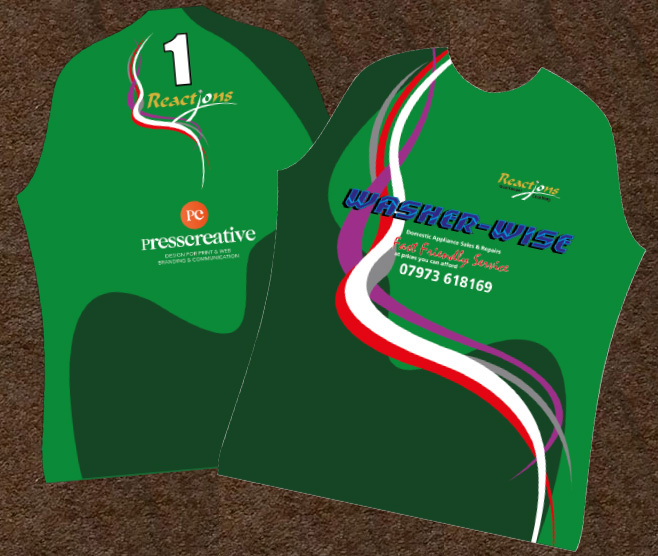 We have gained a new main sponsor and have redesigned the kit which will be issued to all new students upon joining and is available to existing students as replacement for outgrown or old kit. The kit now includes not only the shirt but also matching shorts and socks. Our fantastic, new and improved Reactions Goalkeeper branded gloves are in stock and are the equivalent of top name brands that retail in excess of £45 !!! We are not predominantly a glove sales company BUT do have our own brand of high quality keeper gloves so anyone wanting to surprise their kids with some great new keeper gloves please get in touch. Sizes from 4 - 11 available. Multiple purchases of 4 pairs or more can be further discounted. Contact us for prices. With birthdays and Christmas never far away, if the gloves are to be a present and you are in any doubt on sizes (they do vary from brand to brand) bring the latest old pair of gloves with you and we will try to match up as best as possible and will obviously exchange incorrect sizes on UNUSED gloves. Alternatively just come down to a session and try them on ! Collection from one of our coaching schools is the best option and if you are not a member try a FREE coaching session whilst you are there (the kids that is, not the parents). Postage facility is available BUT is charged separately. We are looking into internet sales for the future.